Through a new music collaboration, Hyatt Centric is hosting secret concerts. CHICAGO—Hyatt Centric has entered into a new music collaboration with Sofar Sounds and Spotify that will “bring immersive experiences to its hotels and guests through the power of music,” according to the company. Through the collaborations, Hyatt Centric hotels are connecting guests to the local music experience—both inside and outside the hotel—as a means to fully discover a destination. New Hyatt Centric brand experiences will include highly curated, secret Sofar Sounds concerts at select hotels and Spotify streaming playlists inspired by global Hyatt Centric hotel destinations. 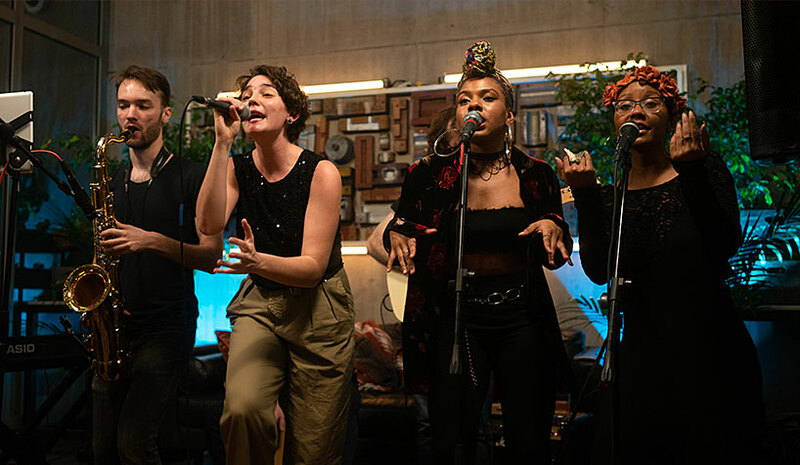 Sofar Sounds has made its name by curating secret concerts in everyday spaces around the world, ranging from living rooms to retail shops. Invited guests are given the details the day before the show and learn who’s playing only once they arrive. The Hyatt Centric brand is teaming up with the concert-curating company to bring the secret concert concept—and local, emerging musical talent—to a wider audience of curious Hyatt Centric hotel guests at select hotels around the globe. These intimate Sofar Sounds shows will be hosted at the following hotels: Hyatt Centric Times Square New York, Hyatt Centric The Loop Chicago, Hyatt Centric Magnificent Mile Chicago, Hyatt Centric Gran Via Madrid and Hyatt Centric Montevideo in Uruguay. The Hyatt Centric brand’s Sofar Sounds concert series kicked off on Nov. 8 at Hyatt Centric Times Square New York with an intimate show by Lennon Stella. In addition, the Hyatt Centric brand has tapped music-streaming service Spotify to help curate playlists inspired by 21 global destinations where Hyatt Centric hotels are located. The unique playlists, which were curated in collaboration with Sofar Sounds, combine Spotify’s local streaming intelligence with each city’s rising music artists and Sofar Sounds alumni.